Should The Left Do Authoritarian Populism Like The Right Does? After 32 yrs of the neo-liberal experiment the character and quality of our country has changed dramatically, and much of it for the worse. If you think this means he won’t go with the Nats then you don’t know Winston. Poor old Winston has had enough and wants out to go fishing. Jones to be announced as a candidate this weekend. I think Winston has a couple more Elections left in him especially if he is on a roll. NZF needs to establish itself as a credible long term party otherwise this country is stuffed especially after the Neo Liberal Experiment which has gone horribly wrong for the average person in NZ over the past 30-40 years ? The country would be stuffed without NZF??? Actually, he scares me stiff – if he takes the ‘fed up’ vote and gives it to National we really are stuffed! Winston was effective as Foreign Minister under Helen Clark. The election will decide what he will agree on with Andrew Little, but they will come to some arrangement .. with due appreciation for legal propriety. The Barclay debacle demonstrates the need to restore the checks and balances of an upper house and rejuvenate our ‘democracy’. The US has an upper house. It also has Donald Trump and the Republican Party running roughshod over every bloody thing. The UK also has an upper house and the Tories with May. So, given the actual, real evidence, WTF gives you the idea that an upper house provides any sort of check and balance? How about 200+ years of constitutional history ? Trump and May are passing phenomena in that time frame. The next UK & US elections will be interesting. Corbyn has momentum, and constitutional opposition to Trump is building. Don’t give up on democracy just yet Drac ! How about 200+ years of constitutional history ? Which proves the opposite. If you’d bother reading history you’d know that. Every time the US houses are dominated by the same party we see bad rammed through. When one house is dominated by one party and the other house dominated by the other party we obfuscation, belligerence and impediments and stonewalling. What we don’t see is good policy getting through. Same goes for the UK and their house of lords. Read an exchange on the Guardian a few years ago where there was one of those lords telling us that they were there to ensure good law went through – on a post about an atrocious law that they’d just passed. Don’t give up on democracy just yet Drac ! I’m not giving up on democracy. I’m pointing out that an upper house doesn’t provide it. That it’s just more top heavy BS. 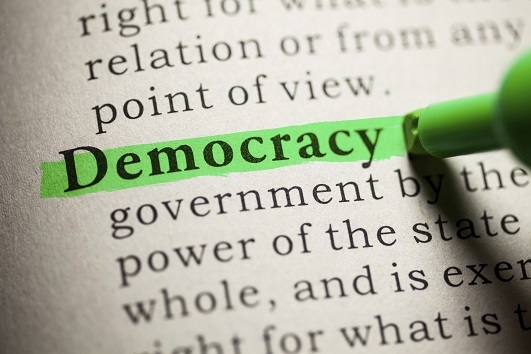 If we want democracy then we need to drop the representative stuff and go full participatory. I feel Shane Jones’ involvement in the party makes a left lovefest more likely. The opposite. Many in national hate Peters with a passion, Jones they can be happy with. Let’s see how this cookie crumbles .. I see your point, I feel it’s valid. Agreed, but I’m only coming if I can get an over-salted asparagus roll and a foamy glass of beer to wash it down with. By the time it happens you will have to reapply for your second gold card . Then you’ll get a discount on the over salted asparagus rolls AND the beer. less likely – Jones is the man that described Labour in very unflattering tones when he left. Same people in Labour now, so why would Jones suddenly embrace them again? Yes I hear you. I see Jones as a bit on the enigma ticket too. Half Harvard boy, half Nga Puhi sage. The potential to garner support in a similar way to Winston, across the left and right. This is the formula that allows them to get leverage out of “We’re not going to tell you who we’d go with, we’ll let the 4.5 million speak first…NZ First…get it?” Ha! It’s a strong strategy. But, if you gave Winston a sneaky shove, I think he’d fall to the right, Shane the left. Can you provide any evidence that Shane Jones is, as a matter of fact, part of NZ1st? No Draco, it’s an assumption on my part. Looks like one, walks like one, just hasn’t gone ‘quack’ yet. Yeah, was thinking that the last thing I heard about the possibility of Jones being associated was shot down hard by the members. By the sounds of things they probably wouldn’t even let him be a member. I see that article is dated early February. Shane’s mast on the horizon would induce those with their names already on the backs of succession chairs to start a fire. NZ First supporters largely support Winston’s judgement. It would be rare a major move was made within the party without Winston’s approval. There is a good ‘Comes from both sides of the tracks’ story to tell with Shane. That’s the Winston formula that has worked so well for so long for that party. Left and Right appeal. I think Winston will get what Winston wants and his party (some with extinguishers behind their backs) will support him. I may have read it wrong Draco, is your 2 bob on ‘no’? NZ First supporters largely support Winston’s judgement. Winston’s a populist and when members in his own caucus, his own party and a fairly significant part of the population don’t* want Jones in NZ1st then he won’t get in. * Really, it only seems to be the National Party caucus that wants him in NZ1st. They probably think that if he’s in there then they’ve got a better than even chance of having Winston crowning them after the election. I’m reasonably certain that Jones won’t be a part of NZ1st in this lifetime. Sorry Draco, he’s acting like he’s already an NZ1st candidate. Did you see his quoted snippet about immigration/dodgy tertiary education providers? Some non-sequitur about “dodgy degrees becoming synonymous with rancid butter chicken… yuck!” — complete non-sequitur but it sticks in my mind. Anyway, he will be an NZ1st MP after September. Will happily devour a rancid butter chicken of your choosing if proved wrong. Not hard to love a pollie with a turn of phrase like that. Winston’s quips are on par with Lange, he’s a treat in this age of political idiocracy/incoherence. Winston is still quite pissed at National but he could possibly work with some of them (not the dirty politics crew). Peters is a gem when it comes to turns of phrase. I dont think he will go with National ,… there have been too many statements against Key, English ie : Pike River and the direction of the National party. And National is becoming more and more seen as a party of skulduggery. Not really the sort of party NZ First and Peters want to be associated with . A coalition between Greens, Labour and NZ First would be a chance for us to put our foot to the floor and see how this MMP Kooky Kustom really performs. Take it to the redline, it’ll be fantastic or it will blow up. It’s always the left that pushes us forward, the right adjust and maintain. NZ First will be Yoko Ono in a Nat coalition. Winston needs to be a Beatle. I don’t think this a strong enough reason for anyone wired left to vote for NZ First because it’s important that we bags the John and Paul spots first. What’s the appropriate song? Don’t want JoJo for Winston – Get back to where you once belonged – ie National. Perhaps Hey Jude, Here Comes the Sun, Revolution? It’s My Party [and I cry if I want to]. We will lose a lot from NZ politics when Winnie finally retires . The colourful wit , lightning retorts and that beaming smile – and the legendary whisky shots and tobacco consumption. And whether you hold a grudge or not , a voice that is not afraid to speak out and go against the current when others slink into the background. He will not be remembered like many of the hateful sell out politicians who wrecked this country when Guyon Espiner conducted his 6 or 7 interviews.